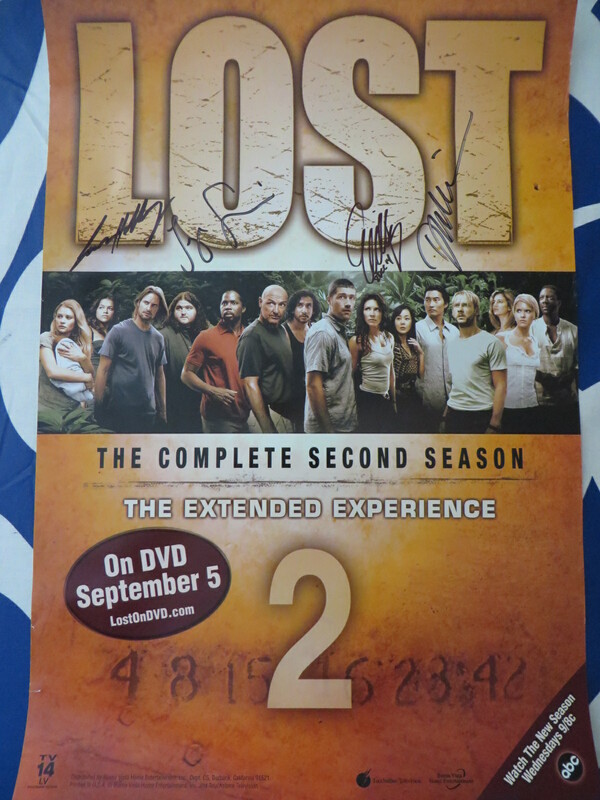 13 by 20 inch LOST Season 2 promotional poster autographed in black marker by stars Josh Holloway (Sawyer), Jorge Garcia (Hurley), Daniel Dae Kim (Jin) and Evangeline Lilly (Kate). Obtained in person at various Comic-Con signings. NOTE: POSTER HAS MINOR TO MODERATE HANDLING FLAWS AND WEAR. 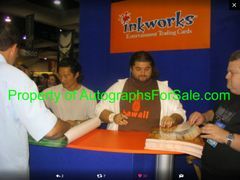 With photos from the Garcia, Kim and Lilly signings and certificate of authenticity from AutographsForSale.com. ONLY ONE AVAILABLE FOR SALE.